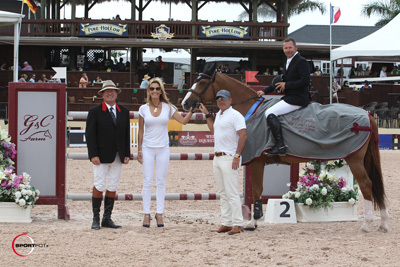 Wellington, FL – March 22, 2013- Canada’s Eric Lamaze was in the winner’s circle on Friday with a win in the $33,000 G&C Farm 1.45m speed class during week eleven of the 2013 FTI Consulting Winter Equestrian Festival (FTI WEF). 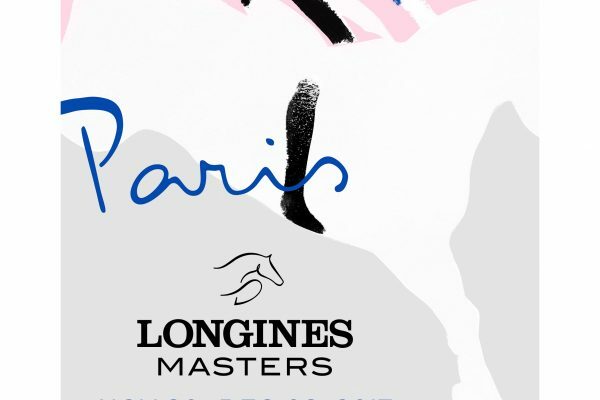 Lamaze and Wang Chung M2S, owned by Morningside Stud and Torrey Pines Stable, beat a field of top horses and riders in the day’s highlight Longines FEI world ranking event. Also showing on Friday, Lillie Keenan was the winner of the 6th Annual George Morris Excellence in Equitation Championship, presented by Alessandro Albanese, and Rachel Boggus won the Ariat National Adult Medal class. Week eleven, sponsored by Artisan Farms, runs March 20-24 featuring “AA” hunter and CSI 4* jumper competition. 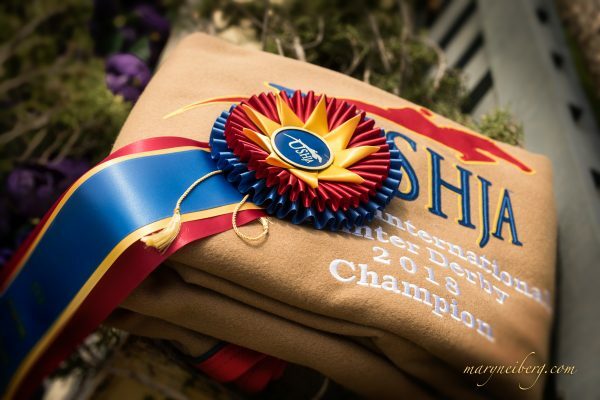 Highlights include the $100,000 Suncast® 1.50m Championship Jumper Classic Final on Saturday night, and the $15,000 Artisan Farms Young Rider Grand Prix, Don Little Masters Classic and $101,000 Pennfield Feeds CSI 4* Grand Prix all held on the derby field at The Stadium at PBIEC on Sunday. 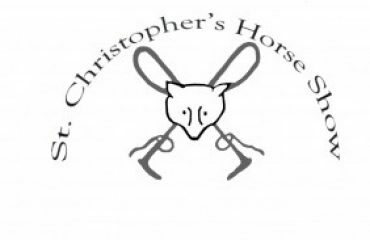 Saturday night’s 1.50m final will be held at 7 p.m., not 8 p.m. as previously stated, due to entries. 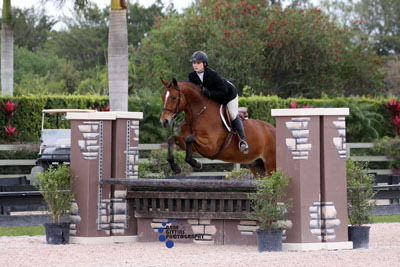 The 2013 FTI Consulting Winter Equestrian Festival features 12 weeks of competition running from January 9-March 31, 2013, and will be awarding almost $7 million in prize money throughout the circuit. Richard Jeffery of Bournemouth, England, set the course for Friday’s 1.45m class held in the International Arena at the Palm Beach International Equestrian Center. Thirty entries showed over the one round speed track with ten clear efforts and a winning time of 61.39 seconds for Eric Lamaze and Wang Chung M2S. Meagan Nusz (USA) and Amalaya Investments’ Vesuvius placed second in 62.38 seconds. 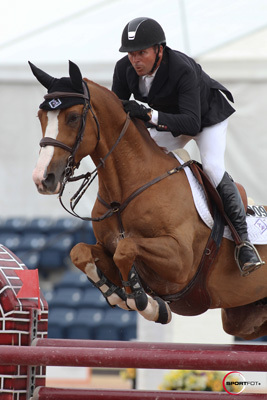 Shane Sweetnam (IRL) and Spy Coast Farm LLC’s Cyklon 1083 were third in 63.24 seconds. 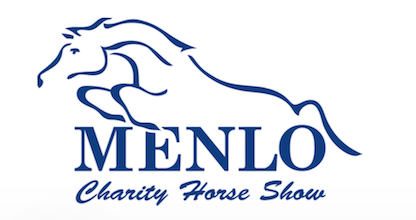 Nusz also took fourth place honors with Amalaya Investments’ Willow in 64.88 seconds, and Quentin Judge (USA) and Double H Farm’s HH Dark de la Hart were fifth in 65.65 seconds. 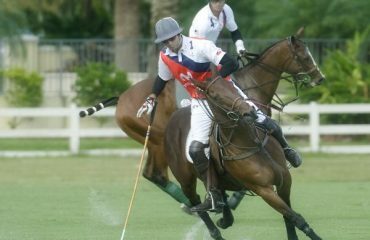 Eric Lamaze and Wang Chung M2S. Photo © Sportfot. Lamaze and Wang Chung M2S, a ten-year-old KWPN stallion by Royal Bravour x Ahorn, have had consistent placings in the 1.45m division throughout the circuit, but kept getting edged out by the closest margins. In week ten’s $33,000 G&C Farm 1.45m speed class they were second and in this week’s $33,000 Spy Coast Farm 1.45m speed on Wednesday they were third. They finally got the win today, and Lamaze spoke about his horse’s skill in these classes. Eric Lamaze and Wang Chung M2S in their winning presentation with ringmaster Cliff Haines and Gustavo and Carolina Mirabal of G&C Farm. Photo © Sportfot. Also showing on Friday, McLain Ward and Emma won the $6,000 Spy Coast Farm 1.40m speed class. In the Adequan 5-year-old Young Jumpers, Maarten Huuygens and Mary Chapot’s Robin’s Twist earned victory. 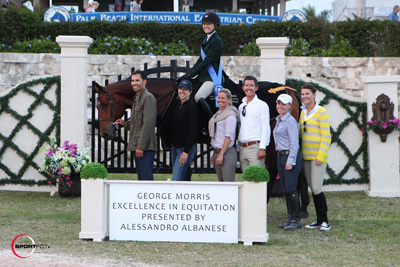 Fifteen-year-old Lillie Keenan rode to victory in the 6th Annual George Morris Excellence in Equitation Championship, presented by Alessandro Albanese, during week eleven of the FTI Consulting Winter Equestrian Festival (FTI WEF). Keenan, of New York City, piloted Heritage Farms’ Clearway to a score of 89 during round one before upping the ante in round two with an astounding 98.5. Keenan was in second with a total score of 187.5 going into the final four test, when she rode Megan MacPherson’s mount, Meridian Partners’ Great Expectations, to a blue ribbon finish. MacPherson and Great Expectations were in first place going into the final four, with scores of 95.5 and 94 for a total score of 189.5. 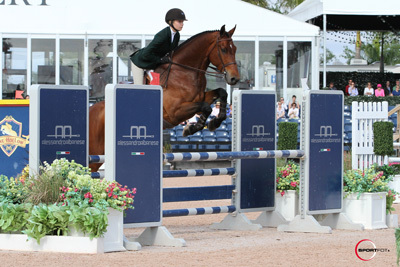 Gabrielle Bausano and San Remo VDL, owned by Elizabeth Benson, were third to Keenan after having a lower score from the tie-breaking panel of judges. Bausano earned scores of 92.5 and 95 for a total of 187.5. Michael Hughes rounded out the top four with scores of 92 and 94.5 for a total of 186.5 aboard Drumnacross Farm’s Zagreb. MacPherson ultimately finished fourth after having a rail in the final test with Keenan’s mount, Clearway. Bausano finished third as she ran into trouble holding a counter canter aboard Hughes’ horse, Zagreb. Hughes piloted San Remo VDL to a second place finish. Keenan secured victory aboard Great Expectations, which was also recognized as the Best Equitation Horse and the Best Turned Out Horse for the evening. Scores for the first two rounds were calculated by two panels of judges plus an additional schooling judge score for riders’ preparation. Olympian Reed Kessler presided over the schooling ring and scored riders from zero to six after each round of schooling. Kessler’s scores were based on timeliness, efficiency and any questionable practices or procedures by riders in the schooling arena. 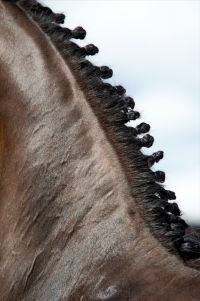 Riders were required to warm up and walk the course without the usual safety net of their trainers. The qualified riders for the George Morris Excellence in Equitation Championship with judges George Morris, Anne Kursinski, Jimmy Torano, Cynthia Hankins, Jeffery Welles, Reed Kessler, and Alex Jayne. Photo © Sportfot. The 2013 judges panel was personally chosen by George Morris, who served on panel two alongside Jeffery Welles and Alex Jayne. Panel one comprised Cynthia Hankins, Anne Kursinski, and Jimmy Torano. Morris also consulted with course designer Richard Jeffery to put forth two challenging tracks for the field of twenty-nine young riders. The original twenty-nine competitors were cut to twelve after the first round of competition. Riders were then asked to perform several tests within their second course, including a trot fence, counter cantering a fence and both flying and simple lead changes. The top four were then required to swap horses and repeat the second course and test for their final examination. 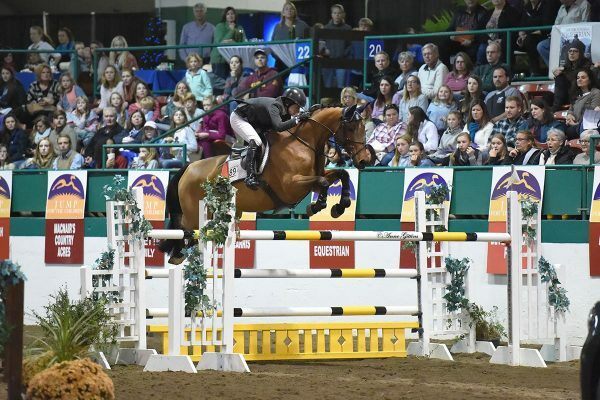 Morris described the swap as the “supreme test” of equitation and was pleased with Keenan’s performance, as well as all of the evening’s competitors. “She is a very finished rider. She’s a very beautiful rider. She has great poise. Those top four, even past that, they were all excellent,” Morris commented. Morris emphasized the importance of showmanship in this type of class, commenting that his one criticism would be riders showing a lack of brilliance in their choices on course. “Any competition-jumper, hunter, equitation-what separates the top is brilliance. That is turns, that is pace, that is distances where you can do something a little bit faster or a little bit sharper than the other guys,” Morris described. Keenan admitted to not taking many risks in her first round, but was fully aware that she needed to step up her riding to make an impression. “Going into the second round, I wasn’t leading and I wasn’t in the top four, so I really knew I was going to have to take some risks. I tried to be a little bit fancy and show the gallop where I could. I knew my horse was totally prepared because [trainer Andre Dignelli] rode him this morning,” Keenan explained. Lillie Keenan and Clearway. Photo © Sportfot. Despite Dignelli’s absence in the schooling arena, Keenan was perfectly confident preparing for the class on her own. Keenan was quick to credit Heritage Farm’s extremely thorough schooling for all of their riders. “For me, and for everyone at Heritage, going into the ring we are so prepared. I don’t think they could have asked us to do anything we hadn’t already done or known our horses were willing to do. That is such a wonderful feeling, to know that as long as you pull it together, your horse is ready for it, and you’ve practiced everything. It really gives all of us at Heritage an edge,” Keenan explained. Keenan was elated to take home another big equitation victory at the FTI WEF. Two weeks ago, she won the Sam Edelman Equitation Championship with another Heritage mount, Levistano 2. “It’s definitely exciting. I couldn’t have imagined this, coming to Florida, thinking I could win both. I had two great horses in both events. It just worked out,” Keenan described. Clearway, an eight-year-old Warmblood gelding, proved to be an equally successful partner for Keenan, who has shown him in equitation classes throughout the FTI WEF. “For him, the test is almost better because then I have a place to show off and I don’t have to worry about him getting confused. I’m really the only person that’s been showing him in the equitation, other than when he first started and Michael Murphy showed him, so I know the horse very well. I knew I could trust him and just try to show off,” Keenan stated. 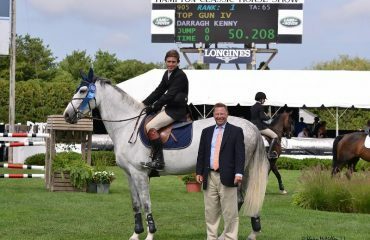 Dignelli acquired Clearway at the beginning of last year and described the gelding as one of his best equitation horses. “I’ve [been] doing this for twenty-five years. He’s as good or better than any other horse that I’ve had. He has a softness, a rhythm, an athleticism, a presence,” Dignelli described. Keenan was just as well-matched with Great Expectations, the twelve-year-old Dutch Warmblood gelding she rode in the final test. “I’ve had a lot of luck switching horses and I got a lovely horse tonight. I’ve watched him a bunch with her. I love the horse, and we matched well. It can be nerve-wracking not being able to do anything before you head to the first fence. I’d say after the first line I got a feel of the horse and it was a lot of fun,” Keenan described. The Excellence in Equitation Championship is just another of Keenan’s long string of victories spanning the hunter, jumper, and equitation rings, but Dignelli never had a doubt his star pupil would have such a successful 2013 campaign in Florida. “This was the plan, for her to win both classes. The fact that that has happened is so awesome. Her family has provided two of the best equitation horses in the country for her, so that we could fulfill these sort of dreams. It’s magical when that happens,” Dignelli commented. Lillie Keenan and Clearway in their winning presentation with ringmaster Cliff Haines and the team from Heritage Farm. Photo © Sportfot. Rachel Boggus and Cassino Z finished first in the Ariat National Adult Medal class during week eleven of the FTI Consulting Winter Equestrian Festival (FTI WEF). The pair was ranked fourth with a score of 79 going into the test but secured their victory with a final score of 88. The top four called back for the test included week ten winner Sara Ballinger aboard Wanderprinz, who finished second with a final score of 87. Kelcie Brophy and Calmar finished third with a score of 85 and Kiva Iscol rounded out the top four with a score of 81 with Julius. “I felt really comfortable on him right away. He wasn’t spooky at all. He just went in the ring and was happy to do whatever I asked of him,” Boggus described of the six-year-old Swedish Warmblood gelding. Rachel Boggus and Cassino Z.
Boggus, of Fort Wayne, IN, juggles eight weeks of competition at the FTI WEF with her demanding job as an anesthesiologist back home. Her busy schedule doesn’t allow her time to ride except for the weekend she spends in Florida. “It’s really hard, but my trainer, Abby Blankenship, does a great job getting my horses ready to go and prepared for me so when I get here there’s not any fuss,” Boggus commented. “When we’re at home [during the rest of the year in Indiana], we do a lot of drilling work and long flat lessons to keep me in shape, so when I come down here [in the winter] I can get back in the swing. She lets me ride a lot of different horses at home because she knows that I have to catch ride for the equitation classes. That’s really helped me prepare and be able to get used to different horses,” Boggus continued. Course designer Skip Bailey set forth a demanding course full of twists and turns, but Boggus was eager to rise to the challenge. “I really liked the course. Today, there were a lot of different options for inside turns and a broken line where you could’ve done six or seven [strides], so I liked that you could push yourself and really try to get in gear and do something more challenging,” Boggus described. Boggus also welcomed the difficulty of the test, which pushed the top four riders to truly prove their equitation abilities. “The test was really good. The trot jump was solid and it was right out of the gate. I like how they also incorporated the counter canter and then a hand gallop. The hand gallop jump was right by the out gate so we had to walk right away [afterwards]. I liked that they tried to make it harder, because then when we go to finals we all are ready to go,” Boggus explained. Boggus’ annual goal is to qualify for the finals, to be held at the Capital Challenge Horse Show in October. In previous years, her trips have been plagued by horse injuries and last-minute leasing decisions. “I’ve never gotten the opportunity to go [to finals] fully prepared. This year, what we’re trying to do is find a horse a few months in advance so I can get used to them and be really comfortable on them. It’s very hard riding in that ring at Capital Challenge on a horse you don’t know. The courses are really tough, especially with the jumper jumps. We’re going to prepare way ahead of time this year and hope it goes well,” Boggus concluded. 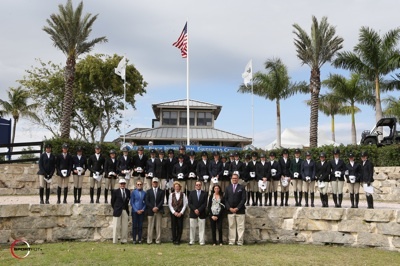 Week eleven of the FTI WEF continues Saturday with the Bainbridge Amateur-Owner 18-35 Hunter division, hosted in the E.R. Mische Grand Hunter Arena of the Palm Beach International Equestrian Center (PBIEC). The $100,000 Suncast® 1.50m Championship Jumper Classic Final will be held at 7 p.m. in the International Arena on Saturday night. For full results, please visit www.showgroundslive.com.